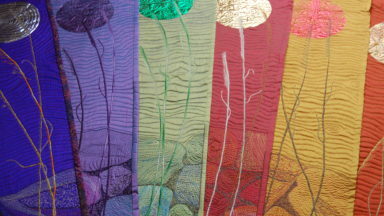 I am a textile artist, living in rural County Galway in the west of Ireland. 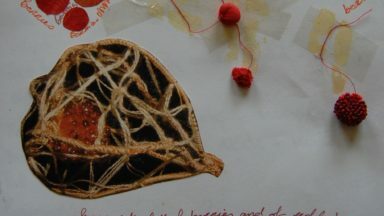 My textile art is rooted in traditional skills of patchwork, embroidery and quilting but I use modern techniques to add a contemporary twist. My work is influenced by themes of language, heritage, landscape and everyday stories. I love to share my skills through workshops and community collaborations. I have been a ‘maker’ and a ‘stitcher’ since I was a child. On leaving school I pursued a career in languages and international business, all the while creating items for family and friends. 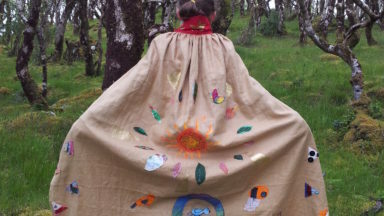 On the birth of my son, I returned to my love of textiles to create an arts practice that would fit in with family life. Making work for sale and exhibition, teaching workshops and collaborating on community projects means my skills are constantly developing and I continually seek fresh inspiration to add to my experience. 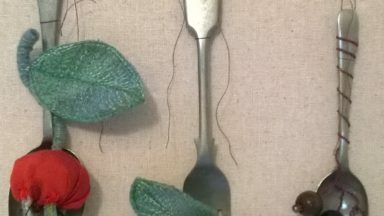 Recent community involvement has generated an interest in uncovering the history of local lacemaking in Headford, County Galway and has led me to research and learn new bobbin lace-making skills. I have yet to discover how this might combine with my existing textile skills and aim to design and create collaborative large-scale work in my community.